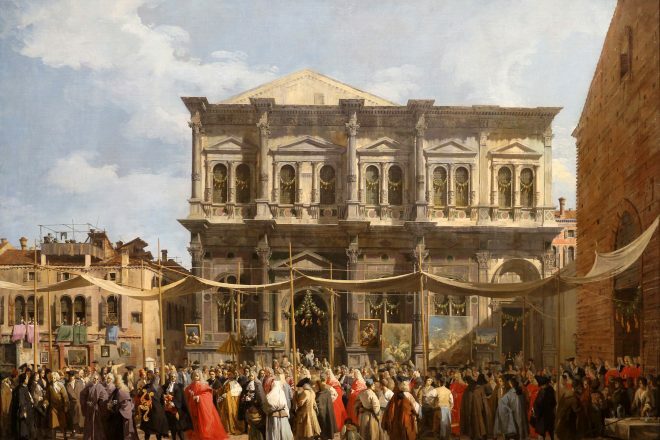 Canaletto, La festa di S. Rocco, 1735. 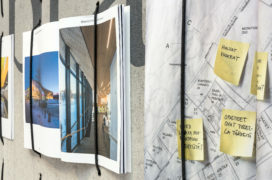 Since last year Archinfo Finland has been in collaboration with Lisbon Architecture Triennale. 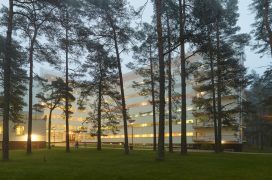 Finnish architects have given lectures in Lisbon, and now a public discussion is held together with New Academy at Kulttuurisauna in Helsinki. The Lisbon Architecture Triennale is a non-profit association whose mission is to research, foster and promote architectural thinking and practice. Its 5th edition is organized 3 October – 2 December 2019. French architect Éric Lapierre and his curatorial team are curating the next triennale under the title ‘The Poetics of Reason’. Manuel Henriques, Executive Deputy Drector of the triennale since 2011, and Giovanni Piovene, one of the curators of the 5th edition, are visiting Helsinki as Archinfo’s guests in early April. During the visit they will take part in a public discussion organised at Kulttuurisauna on 1 April about curating and exhibiting architecture. Come along to hear more about the upcoming triennale. A mini-symposium on curating and exhibiting architecture organised by New Academy and Trienal de Arquitectura de Lisboa with Archinfo Finland. Free admission – please RSVP by Monday 1.4. at 12:00 to academy@newacademy.fi. Roundtable discussion moderated by Tuomas Toivonen (New Academy). P.S. Pop-up Book & Beer shop open before and after talks! Manuel Henriques is the Executive Deputy Director of Lisbon Architecture Triennale since 2011. The Lisbon Architecture Triennale is a non-profit association whose mission is to research, foster and promote architectural thinking and practice. Hanna Harris is the director of Archinfo Finland. She was the 2018 commissioner for the Finnish pavilion at the 16th International Architecture Exhibition of La Biennale di Venezia. Giovanni Piovene founded, together with Ambra Fabi, PIOVENEFABI – an architectural firm based in Milan and Brussels. He is also a co-founder of San Rocco magazine and the office Salottobuono. Mika Savela is the editor-in-chief of the Finnish Architectural Review and co-founder of Selim Projects. 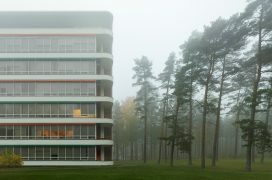 New Academy is an independent architecture school operating within the Kulttuurisauna, established in 2013. So far the New Academy has taken the form of courses arranged with universities, a series of public lectures, seminars and publications.